It is the nature of the industry that family lawyers work in, that so much of our initial time and advice to clients relates to their re-education about the system and shifting their beliefs away from commonly held misconceptions. When new clients first meet with us, they often say – “will she take me for everything I’ve got?” or “she said she’ll take me to the cleaners” or “I know he’s hiding assets and bank accounts”. These fears are shared by so many people who are either contemplating separation or are already navigating their way through the often complex process. However, they needn’t worry. Thankfully, despite its pitfalls, our family law system is far more sophisticated, fair and reasonable. Since 1976 when the Family Court commenced operations, judges and solicitors have seen every trick in the book and have developed rules, processes and procedures to ensure that the family law system is just and equitable for all people seeking refuge and an outcome. Below, we have addressed and corrected a number of the commonly held misconceptions in family law. This is probably the most common misconception in family law. However, there is no law, rule or case that stipulates that on separation the assets and liabilities are divided equally between the parties. The Family Law Courts adopt a 4 step process in determining the division of assets, liabilities and financial resources in which parties have an interest. That process includes undertaking an ‘audit’ of the assets and liabilities; analysing the relevant facts and circumstances of the parties’ relationship including their financial and non-financial contributions and their contributions to the welfare of the family; having regard to their future circumstances including their ages, incomes, health, care of children; and then ultimately determining the division based on what is fair and just. Whilst there are many cases where 50/50 is the ‘right’ outcome, it is not a hard and fast rule that it’s always 50/50. 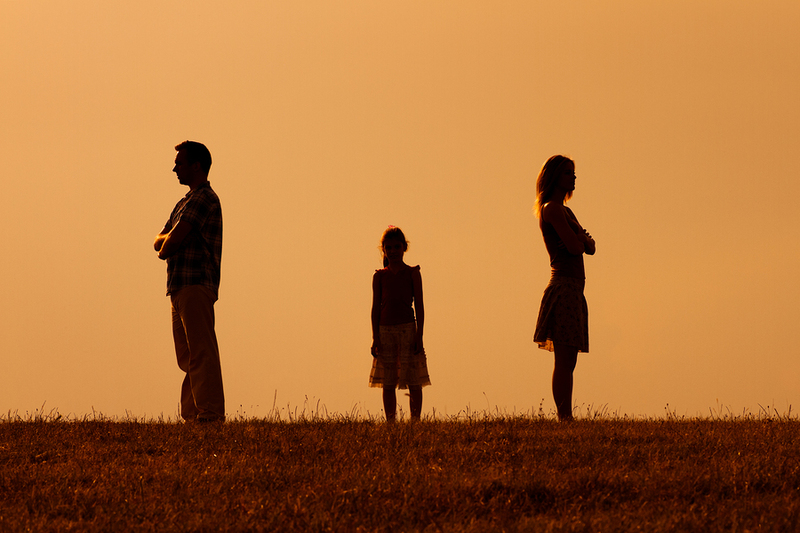 Many clients, when they first meet with a family lawyer seek advice about divorce. However, after a brief discussion, they realise that what they are actually seeking is a division of property (property settlement) and an agreement in relation to the care of their children. This is not divorce. Divorce (in some respects like a marriage certificate) is a piece of paper symbolising the end of the marriage. It does not deal with the division of net property or the care arrangements for children. Some parties decide never to divorce unless for example, they wish to remarry. There are 3 requirements for parties to be eligible to apply for divorce. The care arrangements for any children under the age of 18 years are adequate. The division of property between parties at the end of their relationship, is property settlement and is usually a more complex process. In all parenting disputes, what is in the best interests of children is the paramount consideration. People often believe that once their children are 12 or 15, then they are old enough to decide. Parents can of course agree between themselves what care arrangements should be implemented for their children and they can in making that determination, have regard to the wishes of their children. However, if the Court is required to judicially determine care arrangements there is no law or practice where, after a child is say 12 years of age, they can decide. The Australian family law system is a ‘no fault system’, which can often be a very difficult and upsetting concept for the aggrieved party to understand. Our Court system generally does not punish one party for poor behaviour by awarding them less property settlement or less time with their children. There are of course always exceptions but establishing an exception to this is extremely rare and very, very unlikely. All of the assets, liabilities and financial resources that parties have an interest in at the time of their agreement or Court determination are relevant to property settlement (unless there is a pre-nup). It is not the case that if you owned an asset before the relationship, then it’s excluded and likewise, if you bought a property post-separation, it is quarantined and excluded from the net asset pool. As part of the 4 step process referred to above, parties will get ‘credit’ for their individual contributions including assets they brought to the relationship, but that does not mean they are excluded from the negotiations and agreement. Yes, for most brides the thought of discussing the terms of a pre-nup and what I’ll get if we separate is not something they want to think about while they’re picking their floral arrangements or deciding whether the bridesmaids should be in pink or blue. We agree, it’s not the most romantic discussion for a betrothed couple to discuss. But the reality is for some people it provides a way to move forward knowing they have financial protection. Financial Agreements are incredibly useful and beneficial for people who might be entering into a second marriage and have accumulated their own assets and wealth. For others, they might stand to inherit significant wealth in the future. Or increasingly common is where one party works in a very successful family business and their parents are insisting on a pre-nuptial agreement. The Australian family law system is sophisticated and reflects that no two relationships are the same and therefore no two separations are the same. It is important that parties obtain independent family law advice in order to understand and appreciate the nuances of the system and their particular case. Please contact our team of family law experts at Best Wilson Buckley Family Law to assist you in relation to your family law needs.